This vegetable ramen recipe combines British root veg with Asian aromatics to create a vegetarian soup perfect for the colder months. The noodles are replaced by spiralized potatoes – making the dish gluten-free – and all the vegetables can be swapped out for whatever you've got to use up in your fridge. 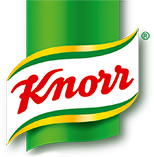 The broth is made with a Knorr Organic Vegetable Stock Pot, adding plenty of flavour into the mix.